There has just started an new music composition contest that would be a great chance for IB Music students and others around the world to create new music for their course work that focuses on specific world instruments and new forms of music. 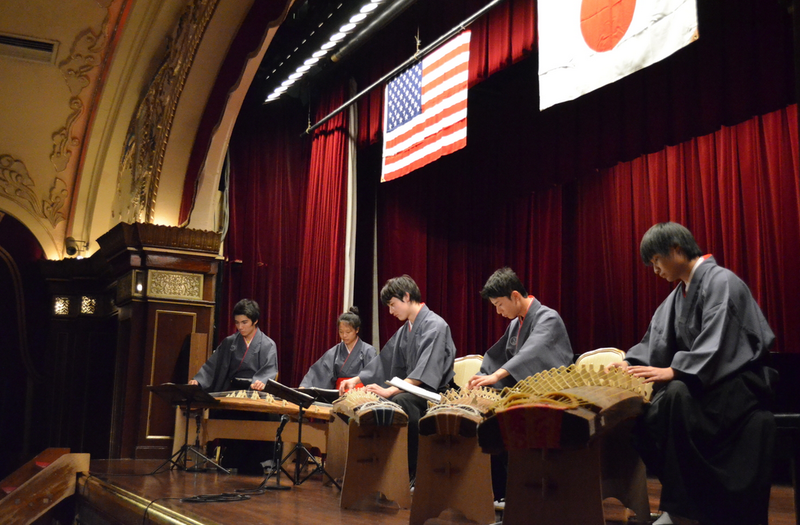 “International Center for Japanese Culture“ of ICJC for short and Yokohama International School has started an exciting new competition to promote the creation of new music compositions written for a traditional Japanese instrument and one Western instrument. The composition submitted must be written for two to five performers including up to three 13-string kotos and one 17-string bass koto. One western instrument must be included in the composition (flute, clarinet, violin or cello). Composition length should be between 6 to 12 minutes and scored using western music notation. Cash prizes will be awarded to the top two compositions. First place is worth ¥500,000 (approx. US$5,000) and Second place is worth ¥100,000 (approx. US$1,000) Additional awards are: Performances in Japan and the USA, Composer Invitation to Yokohama Japan, and Music Publication of the work. Please GO HERE to read more about contest rules. Cool Brad, I’m going to discuss this with my students. This will make for a fun add on with our Japanese unit that we did. Hi Scott, It is interesting I hope. I think it fits nicely into a Asian unit. I have already noticed that we should maybe make a help site with connections to information about the Japanese instruments themselves. Good luck!